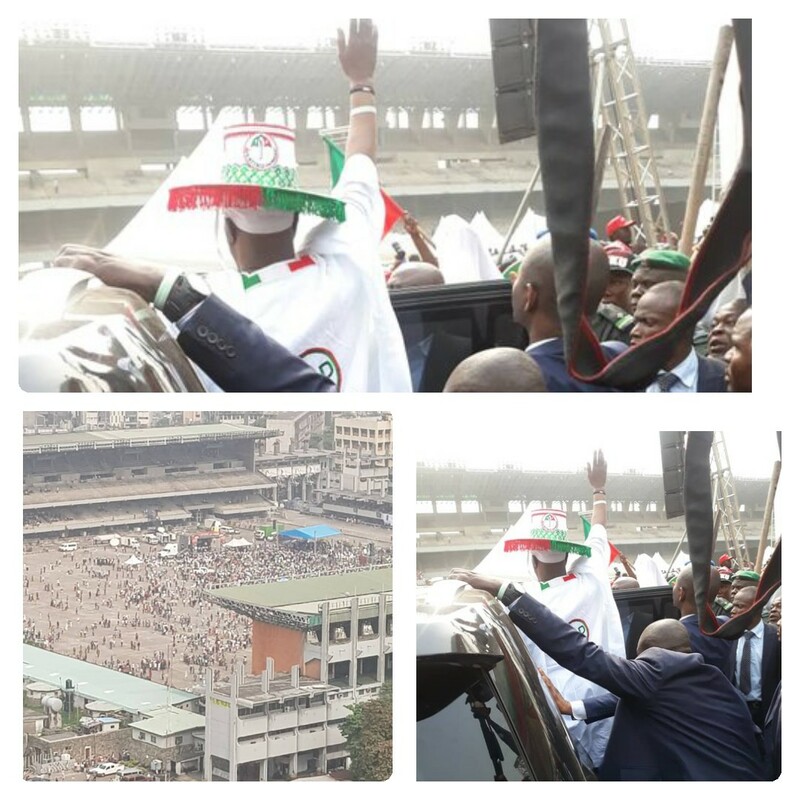 Home / Unlabelled / MILLENNIUM EMBARRASSMENT: Atiku Waving At Empty Stands At TBS In Lagos. 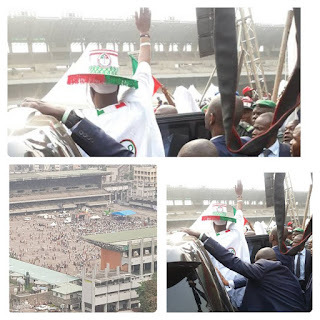 MILLENNIUM EMBARRASSMENT: Atiku Waving At Empty Stands At TBS In Lagos. The battle is getting interestingly tough as the presidential flag bearer of The People's Democratic Party, PDP, Alhaji Atiku Abubarkar who recently staged his campaign in Lagos State was seen waving to an empty field . Do we call it sign of failure or what???? Well, from the look of things, PDP should forget Lagos State and the whole of South West.